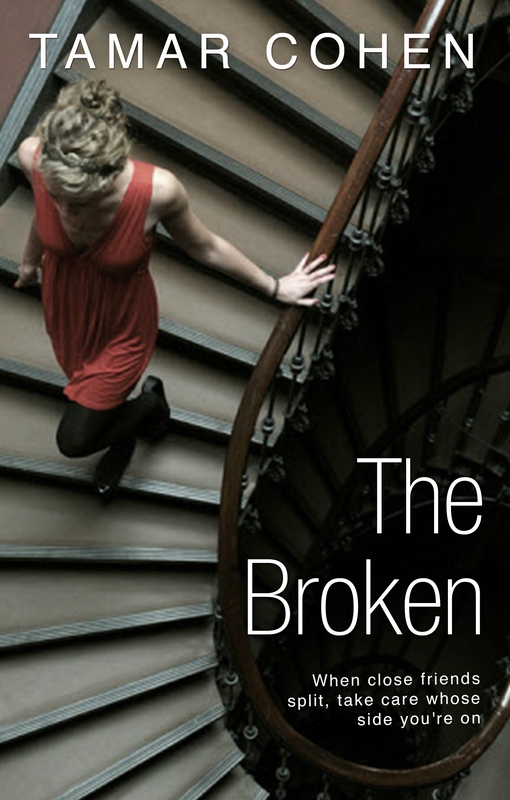 I’m part of a blog tour for the new book Broken, a psychological thriller that explores how the breakdown of a friends’ marriage can have serious consequences on those around them. I found it quite gripping and read it in a day- the suspense was fantastic and if you like your novels dark and taut, I think you’d enjoy Broken. Its author, Tamar Cohen, agreed to answer my questions- read on! 1. Where do you get inspiration for your novels? Like most authors, I shamelessly plunder my own life for inspiration, and when that doesn’t yield anything (I’m very boring) I shamelessly plunder my friends’ instead. Seriously though, the spark of inspiration usually does come from something that happens to me or to someone I know and then I think about what would happen if that person or the people around them, reacted to that thing in a very extreme way. That’s what I’m interested in – how ordinary people react to extraordinary situations or crises. 2. What’s the hardest part of the writing process for you? Forcing myself to concentrate when there are so many distractions… Sorry , what were you saying? Writing requires focus. I can’t even have music playing when I write (although I know lots of other writers can). So for me being connected to the Internet is a disaster, because I keep breaking off from writing to check emails or browse Twitter or browse through garden office websites, and then it takes me ages to get back into the writing zone again. I even bought an app which blocks me from the Internet for an hour or two at a time, which sometimes works, although I have my phone on the desk next to me that beeps every time an email comes in, so it’s very easy to cheat! 3. Which authors have had the most influence on your work and why? That’s a tricky one. There are authors I’ve never met whose writing has had a huge influence on me, like Kate Atkinson who is so playful and original with words and concepts and skips from literary fiction to crime without missing a beat. And Louise Doughty whose Apple Tree Yard was a masterclass in marrying up intense nail-biting suspense, with flawless writing. Then there are authors in know in real life whose writing is brilliant but who also influence me by providing writerly advice when I’m stuck. I’m looking at you Louise Millar, Louise Douglas, Amanda Jennings and Lisa Jewell! 4. What are you top five books? 5. What’s your advice to budding novelists? Politics. Or: we have a year until a general election and yes, you should care.